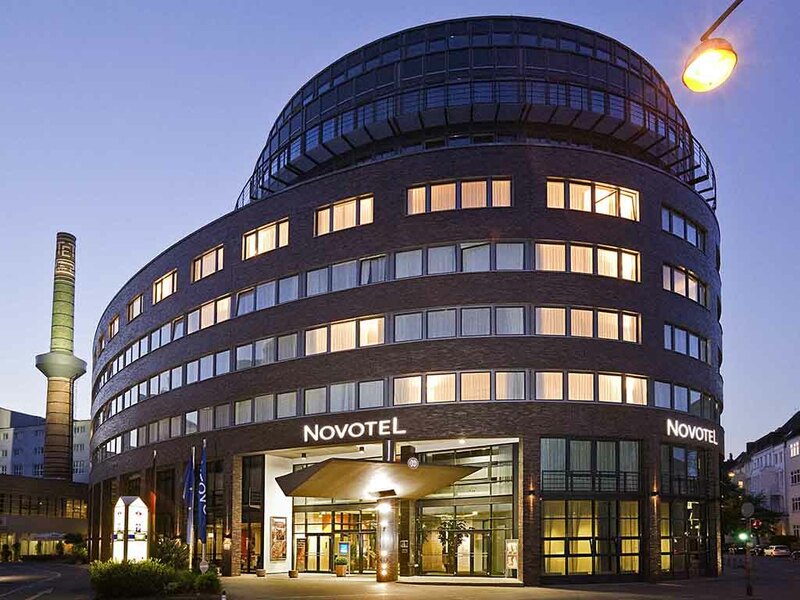 Hotel Novotel Hannove.Book online now! Wellness area! Hotel Manager Bert Doosje and his team would like to wish you a warm welcome to the award-winning Novotel Hannover hotel. Don't forget to visit the historic steam engines in the former Bahlsen biscuit factory - where the past meets the present. The spacious restaurant offers dishes from around the world in air-conditioned surroundings. It can seat up to 150 guests and is open daily from 6.30 am to 9.30 pm. Come and sample our culinary delights and exquisite wines. The sky bar is the ideal place to relax with a refreshing drink or watch soccer with friends. We also serve snacks if you need a little something to keep you going. The bar is open daily from 11am to 1am. Hotel offers a central location, parking, nice rooms and modern equipment. Staff is very friendly over the phone and in person. Clean, comfortable room, but the climate control equipment remains substandard. A window must be left open to keep the temperature moderated, and the noise from the street is too loud to keep the window open while you sleep. The Hotel location nice, the facilities very nice. The Restaurant Personnel is also nice people. The Front Desk is not so friendly, all the people there were very defensive and close to aggressive, I did not like how the reacted to questions or requests. This was a meet-up with friends and their Kids. We also had a dog with us. The hotel was better equipped for Kids than we were expecting (included kids play area), and the reception staff were very patent with them. The Hotel was also welcoming for the Dog (water bowl and treat in the room when we arrived). Very nice Hotel and very friendly staff. Breakfast was good our Kids loved it. And if your neighbor decides to have a small party at midnight, then you will not sleep. very nice stay, good service and friendly staff. 11 out of 10 Big room with comfortable beds. No point to talk about cleanliness; would not expect anything else in Germany We spent evening at the bar ... all of us including our border collie. Perfect breakfast with a huge choice to your liking. Friendly staff (Thanks guys!) speaking very good English ... like everyone in Hannover LOL We'll definitely return. services level conformed to my expectations. some days, I wait a very long time to get some coffee at breakfast. the waiters were hidden in the kitchen and not closed to their Customer. it could be improved. the service is really dependant on people because some other day, i don't wait to get my coffee. great location and modern hotel, stayed here yearly for the last 5 years, clean and friendly, the bar area is one of our main hangout areas. Clean hotel, nice breakfast, nice large rooms with mini-bar. Too bad that even the water should be paid, as most hotels i'm visiting there is a bottle of water for free in the room.